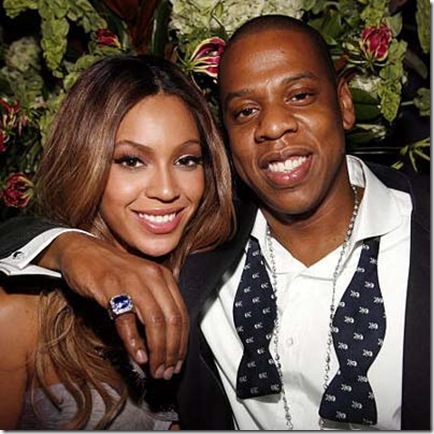 Online Sheet Music Blog: Beyonce and Jay-Z Welcome a Baby Girl! Beyonce and Jay-Z Welcome a Baby Girl! Beyonce and Jay-Z, two of America's most popular recording artists, welcomed a daughter late Saturday night, in New York City. According to reports, the couple, who married in 2008, named the baby girl Ivy Blue Carter. Rolling Stone reports that father Jay-Z has released a new song to celebrate the birth of his daughter, titled "Glory." Congratulations to this family of superstars!! Congratulations to these two! I'm sure their daughter will grow up as talented as they are. Perhaps she'll play sooner than Beyonce in one of these live music Long Island venues. 10 Songs Honoring Dr. Martin Luther King Jr.